CRG ranked No. 197 in the world! Your Cajun Rollergirls sit at No. 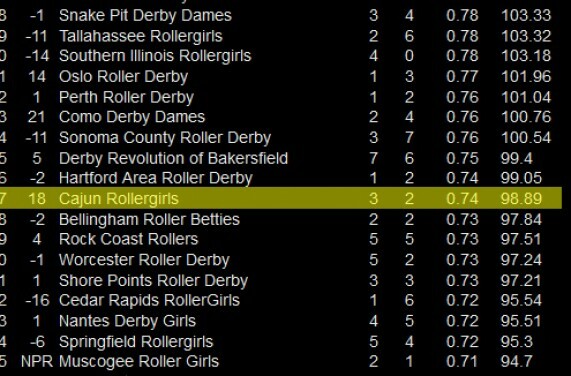 197 in the world in the WFTDA’s October rankings!